NEW: The newest General has been elected. For insights into the results of the High Council 2013 click here. Edward Higgins was elected General during the tumultuous High Council of 1929. He negotiated a change of legislation in 1931 that replaced the former method that William Booth had created to choose a General. Prior to the High Council (where Generals were and are elected by fellow Salvationists, with the rank of Commissioner), the method was one in which William Booth would seal in an envelope the name of the next General. 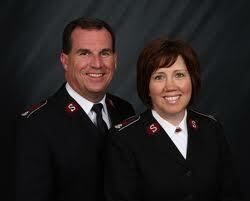 This was seen by many to not be a preferred method of choosing a General to lead The Salvation Army. Federick L. Coutts was a Scot elected to be General in 1963. He was known as the 'Army's Literary General', as he wrote many Salvation Army books, devotions and articles on topics such as holiness, leadership and spirituality. In 1986, Eva Burrows, became the General by a slim margin of 24 to 22 votes on the fourth ballot. The Australian was 56 at the time of becoming General and was the youngest elected to the office. Jesus is Lord! Let's keep that in focus. "Chief of the Staff, Commissioner André Cox, has summoned members of the High Council to meet on 29 July 2013 for the purpose of electing the 20th General of The Salvation Army. All leaders who are commissioners on active service or who are territorial commanders or territorial presidents of women’s ministries of whatever rank qualify for membership of the High Council. This High Council will be t...he largest in the history of The Salvation Army. There will be 118 members – 64 women and 54 men – with an average age of 59. Fifty-four will be attending a High Council for the first time. Twenty-six have appointments in the Americas and Caribbean Zone and 24 in the Africa Zone. The South Pacific and East Asia Zone supplies 21 members, Europe 18 and South Asia 15. Fourteen International Headquarters commissioners complete the total of 118 members. The High Council will not meet at its usual venue of Sunbury Court in Sunbury-on-Thames, United Kingdom, as this historic venue is presently undergoing a major refurbishment. Instead, it will meet at the Renaissance Hotel, near Heathrow to the west of London. This is not the first time the High Council has convened away from Sunbury Court – in 1934 and 1939 proceedings took place at Clapton, in the East End of London. The Chief of the Staff will preside over the opening of the High Council until such time as a president and vice-president have been elected. The deliberations of the council will then be directed by the president, preparing the way for nominations for the office of General and the election of the next international leader of The Salvation Army. International News Releases will be issued from time to time during the course of the High Council and will be available on the International Headquarters website. The announcement of the new General will be webcast so people all around the world will learn the identity of the new General at the same time. 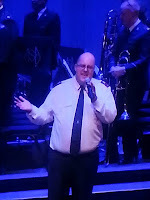 See my previous blog in relation to the retirement of General Linda Bond and who will be the next General of The Salvation Army. Find more up to date happenings at Major Stephen Court's Blog: Army Barmy. Who will be the next General of The Salvation Army? I mean, you didn't think I was going to give you the latest odds on who will be the next General? Since when is it a popularity contest anyway? Some of you were hoping for a list of names with skill sets listed and their potential chances of becoming General. God knows who the next General of The Salvation Army should be. It's up to us to pray that Salvation Army leaders would discern the person who is called to such a demanding position. Only by the grace of the Lord Jesus could they surely fulfil that position. You may well spend time, as we all tend to do, speculating on what Commissioner may well put his/her hand up for General, but in that speculation are we not missing an opportunity to ask for the favour, grace, blessing, power and presence of the Holy Spirit upon The Salvation Army? We have one mission, one message and we are one army. As we march forward in unity, do not let anything distract us from the grand, audacious mission God has called us to. We are a pragmatic movement of soldiers who have covenanted to live to win souls and to serve and support broken people. We pray for now retired General Linda Bond. Jesus bless her! Strengthen her and continue to guide her! We also ask a blessing upon the Chief of Staff as he fulfils the work of the General until a new High Council is convened. So, who will be the next General of The Salvation Army? "We are investing in an education revolution." "The good news of Jesus can transform your life." "Disability Care will be a welcome addition to disability reform." "God loves you and has a plan for your life"
Do any of these statements have anything in common? Well not at first glance. But it's not the comments themselves that I want to concentrate on. It is not even the validity or otherwise of the statements being made. Let us take a step back from passionate, and even somewhat aggressive discussion on politics and religion for a moment so I can say one thing. Not everything the Labor Party communicates with the general public is nonsensical and not every bit of rhetoric communicated is laden with 'smear and fear'. The same with Christianity: Not everything a Christian says in mainstream media is off-the-wall conservative and worthy of harsh critique. Though, any Australian knows that the ALP are heading for demolition in the upcoming 2013 Federal Election. Any Australian also knows, that the popularity of the 'Christian Church' is not quite up there with Bruno Mars and Master Chef. They have tuned out. They have changed the channel. They are not interested. They are over it. They've failed to deliver on what was promised. They've misrepresented their organisation. They've honed in on issues that people didn't care about, at the expense of issues they did. They've spoken consistently negatively of the 'other party' and those on the 'other side'. They've struggled to find a leader or leaders who would be able to cast a vision and lead the organisation to fulfil its original mission. They've put people in upper-leadership levels that have undermined the effectiveness of the overall organisation. They've had people who have broken the moral code. So people have stopped listening. Do you hear what I'm saying? Maybe the great challenge the Australian Labor Party and the Christian Church have to contend, is to convince people that still have something worth communicating; a message still worth following. I have heard it said, that one thing people of the Christian faith must do, before they even expect anyone to be close to believing their message, is to build credibility. That may well be true for both Labor and the Christian Church. Not all politics is laden with smear and incompetent politicians. Not all Christianity is run by bureaucrats and people who badly misrepresent the faith they profess. The problem is, how do you regain the listening ear of a people who have tuned out? I have a message brewing in my heart. The message was confirmed when I listened to Commissioner Floyd Tidd (pictured below with Commissioner Tracy Tidd) speak of The Salvation Army moving forward. He spoke recently in the Australia Southern Territory about the change of leadership from Moses to Joshua, and that Joshua stepped forward to lead the Israelite people into the promised land by the grace of God. We can't go backwards. We must not embrace the former years as if they were necessarily the best. Healthy churches do not relive the glory days, the glory days are happening amongst them in the present! Dysfunctional churches want to recapture something of the past - the way it used to be. The problem is, while the church seeks to grab something from yesteryear (maybe the music, the methodology, etc), they are missing what God is wanting to do today. I need to qualify some things here. I am speaking very much about the church's expression of ministry in the world. I am blessed to be leading Salvos 3064, a church plant 12 years ago, that is trying hard to be prophetically and practically relevant to our generation. For us this means keeping the music fresh and new, the structures lean and effective, the outreach culturally mindful and yet Spirit-led, amongst other things. When The Salvation Army, not to mention other churches, lives with a mindset that the best days have been and gone, we might as well be table salt. Let's just sit next to Lot's wife, as pillars of salt, reflecting on yesteryear and continue to relive the glory days. Though, if we are really honest, we know full well the glory years were just as difficult and painful as the years we live now. Don't forget the grace of God throughout the years, but understand, that God is wanting to do a new thing. Something fresh. New. Alive. Maybe slightly dangerous. Maybe slightly edgy. Maybe something that gets you out of the comfort zone. I would much prefer to be salt that is seasoning the world around it, than cheap, homebrand table salt. We are challenged here to make the priority, service in the kingdom of God. God is doing a new thing. Stop looking back, hoping God might reignite the same methodology, music and outreach methods you used in previous years. Embrace what God is wanting to do now. Be filled with the presence and power of the Holy Spirit, and tell Jesus, that you're ready for what lays ahead! Join Pete on Facebook here.